Allure Magazine has a new puff cover piece on British actress Helen Mirren that underscores some problems with feminists in Hollywood and entertainment. We wade through shameless, over-the-top flattery of this older actress to read about what makes her a “72-year-old bad*** and Oscar-winning feminist icon” who reduces men to mush. The problem is there is not much to this so-called feminist icon other than that she hates the current U.S. president, belittles the women around him, and encourages young women to swear like a sailor and be ruder. If that is feminism, I’d pass. 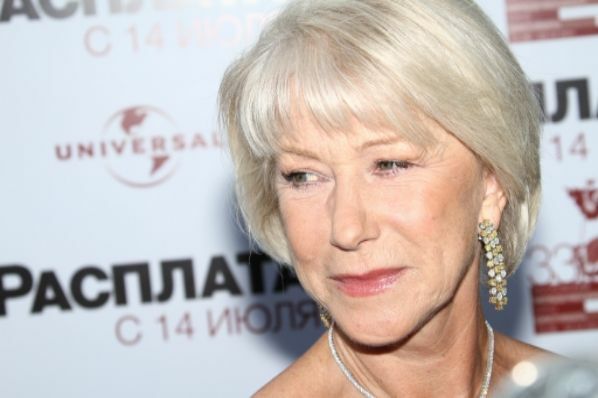 We already know that Mirren was no supporter of then candidate-Donald Trump. She urged Americans to learn from the Brexit vote and support Hillary Clinton. In 2015, she even predicted Clinton would be America’s first female president in 2016. “I’m Eastern European, you know; [we’ve] got these dark souls,” she quips. “That dark Slovenian soul is about to come out. She’s only got to do a nice interview with Allure,” she laughs, drawing out the “u,” making it sound entirely regal. All-yyooooorrr. These comments at least hearken her prior praise of Thatcher even after Madonna’s own social media backlash for saying something nice about the first female prime minister. Does vulgarity equate to assertiveness? The prevailing view is that women are not assertive enough. However, according to some research women are no less assertive than men. Women can also use body assertive cues in the workplace to demonstrate leadership. I have yet to see evidence that we should replace politeness with rudeness or veer toward vulgarity like men. As we’ve saw in 2015, when an apparel company FCKH8 posted the “F-Bombs for Feminism” video featuring little girls dressed as princesses but cursing and flipping birds, that is not true women’s empowerment. Shock-value tactics that claim to push feminism forward don’t help women, and pushes them away. Sorry Allure Magazine, but women’s empowerment this is not.